Effective issue framing puts information into a context that makes it easy to absorb and interpret by employing core themes that connect the dots across issues and tapping deeply held social values. 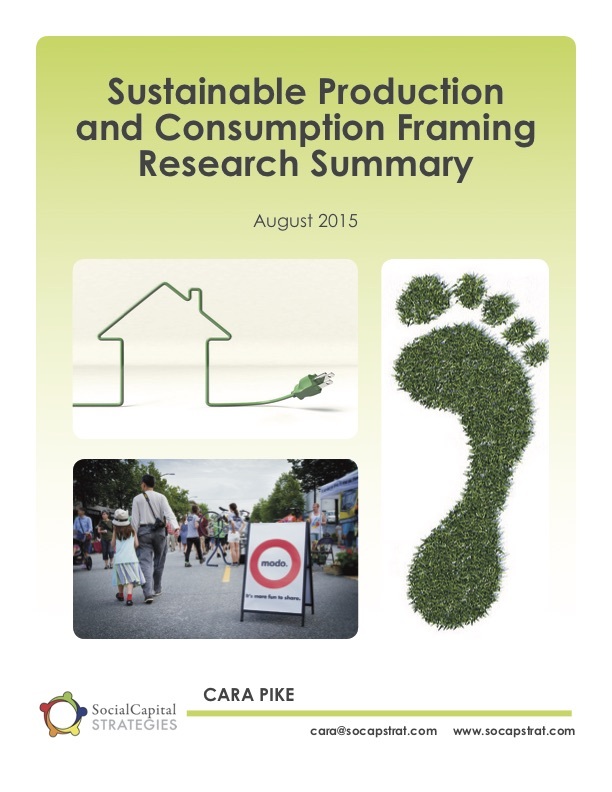 The Sustainable Production and Consumption Framing Research Summary outlines framing barriers and opportunities to consider when communicating about consumption issues. Emphasizing how sustainable consumption can help provide for human needs (material, psychological, and social) can serve as an effective frame to build initiative-specific messaging. To build an audience that reaches beyond the “super greens”—who make up between 16-25% of the American public—and captivates the group that is interested but not yet acting, practitioners need to focus on untapped groups with which they can build common ground, and speak to the issues of that most concern them. One promising group to focus on is younger adults. This cohort’s messaging campaigns should be geared toward their value set, which can vary significantly from environmentalist baby boomers. Younger adults may be less civically engaged than older generations but they tend to have more pro-environment perspectives and are supportive of climate action. 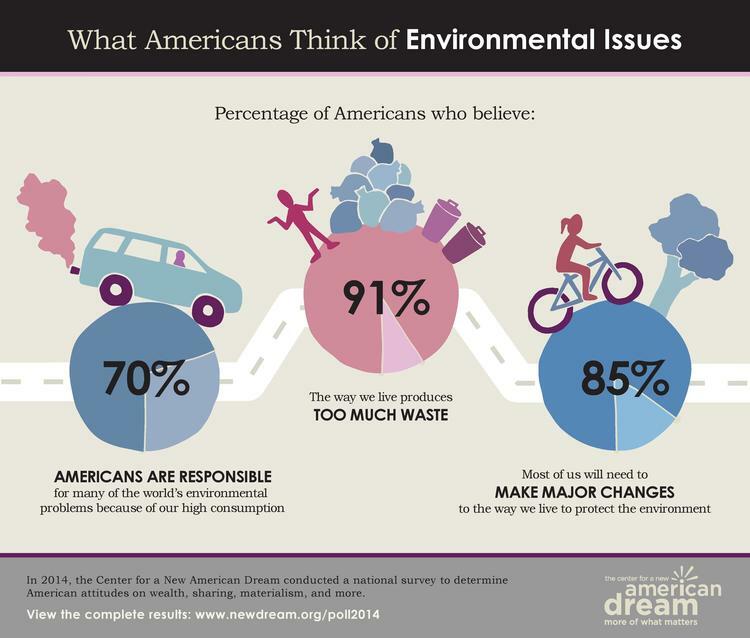 Additionally, they largely reject the idea that jobs creation and environmental protection are at odds. Emerging trends include this group’s orientation toward more walkable cities, use of public transit over car ownership, and participation in sharing activities. Thought leader Douglas Holt has identified a subset of younger adults as the “New Main Street” of Americans. This group is college educated and/or are recent graduates who struggle to leverage their degrees. They are likely to work in the service, clerical, retail, and labor sectors. Finding living wage jobs with benefits are one of their primary concerns. While environmental impacts are not this group’s primary focus, communications can leverage other sustainability benefits such as economic security, health, and quality of life issues.. While the varying primary specific concerns of community groups may present a challenge, common ground for sustainable consumption initiatives may ultimately be found by leveraging your community’s commonly held values, as described above. With a wide range of messages and advice available through myriad media, choosing the best actions to take can be confusing and ultimately lead to frustration or lack of action among community members and City staff. Engaging interested parties will require specific, actionable suggestions with measurable outcomes, regardless of whether the target is City departments or members of the public. Effectively conveying sustainable consumption initiatives requires thoughtful appeals to a broad range of constituents and policy makers. The “curse of consciousness” can occur when a person engages with sustainable consumption choices. For many, “guilt is a major barrier to engagement” and becoming aware of the negative consequences of current or past decisions can create a level of guilt that makes the newly awakened wish they could be ignorant to the issues. Individuals may also feel ostracized, ”...for their green attitudes (i.e. holier than thou stigma), or experience discomfort with unwanted attention (i.e. check out what the hippie/crunchy granola is doing).” This stigma can lead to feelings of social isolation, and alleviating that isolation may have a more powerful influence than behaving in ways that align with a community member’s sustainability values. This research reveals that a sense of fatalism can come about from focusing on individual lifestyle choices as opposed to larger systemic change. Individuals may believe that although they are willing to change their behaviors, others are not willing to do so, which limits the amount of impact they are making. The effects of overemphasizing individual choice can compound when systems that would enable these changes are either inaccessible or nonexistent (e.g., consumers may not choose to repair instead of buying new if they don’t live or work near a repair business).